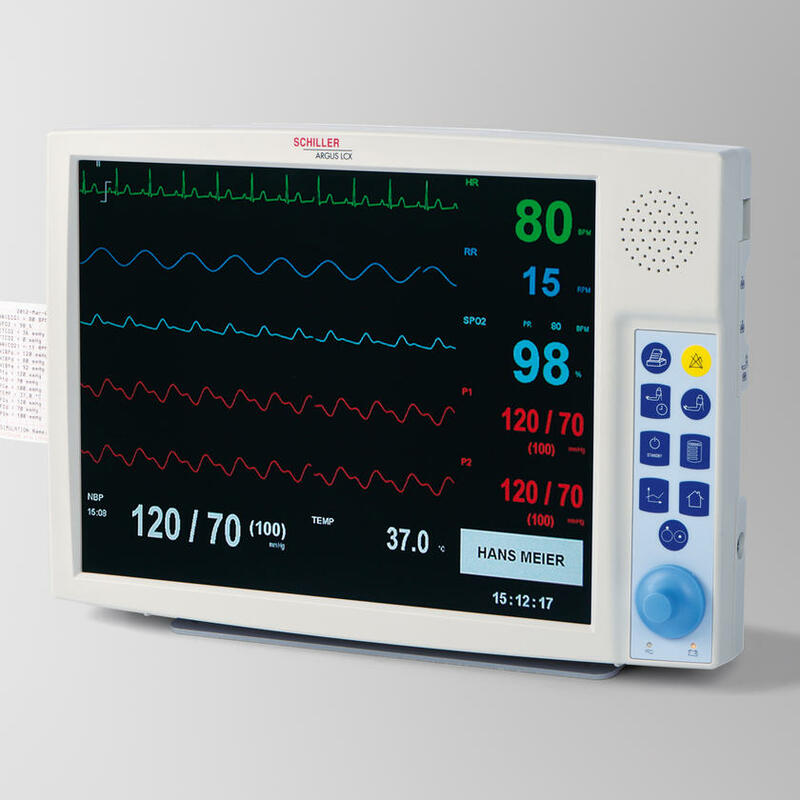 Schiller Patient Monitor portfolio meets a diverse range of care specific information and patient acuity levels. Offering a comprehensive set of measurements which can be used in a variety of clinical settings and are ideal for emergency environments and specialist areas throughout the hospital or clinical setting. Offering cost effective, portable solutions with clinical accuracy and improved patient care. Schillers portfolio of pulse Oximeters includes both portable and handheld pulse Oximeters. 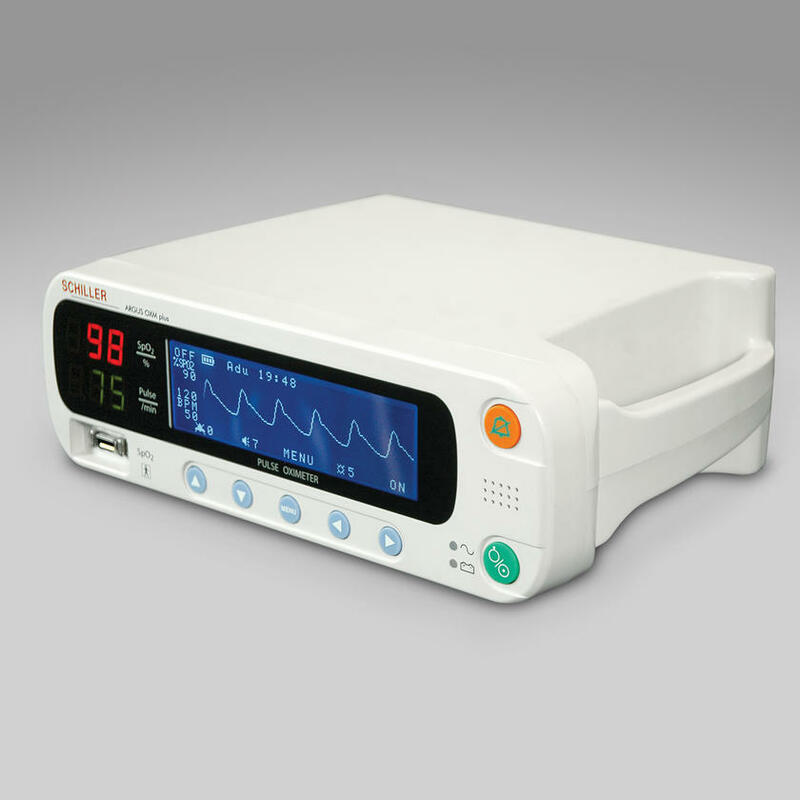 Designed for adult, pediatric and neonate applications, Schiller pulse Oximeters provide accurate readings even in cases of motion artefacts and low perfusion. Providing the ultimate non invasive oxygen satura-tion monitoring, pulse rate and trend rate while being compact, light-weight and easy to use. 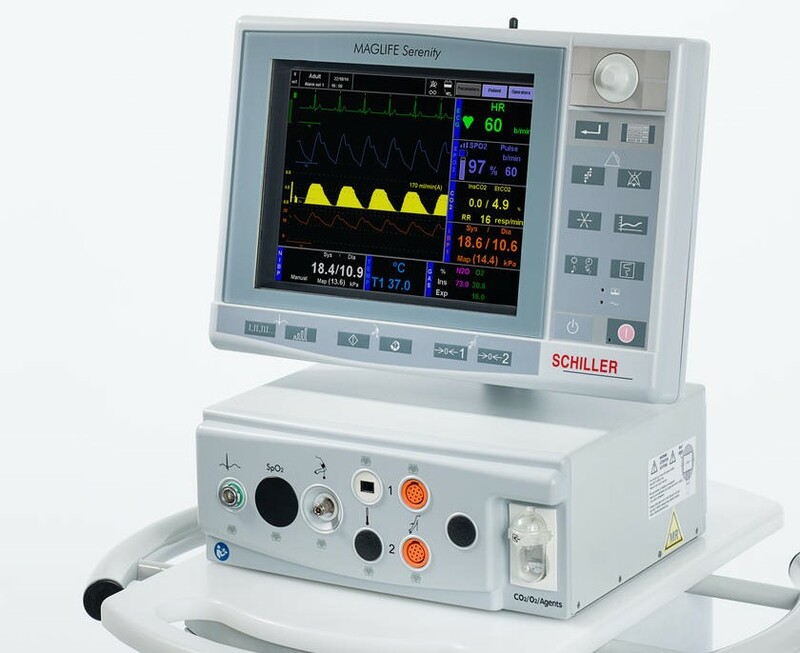 Schiller MR compatible monitors are used in the monitoring of vital parameters during anesthesia in an MRI environment. Guaranteeing the highest quality of ECG during MRI, even under the strongest gradi-ent influence. The systems offer increased safety by reducing the risk of burns as well as signal interference to a minimum.